The Adviser has gained recognition as the definitive publication for the mortgage and finance broking industry for over a decade. 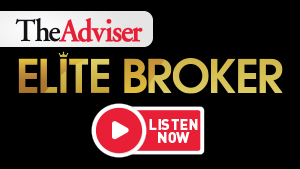 As the leading title for the mortgage industry, The Adviser provides up-to-date news, information, opinions and insights about issues and changes that impact the industry, as well as business and market intelligence that aim to help mortgage and finance brokers improve and apply the best practices in their business. It contains several thought pieces that breaks down corporate and political-level stories that impact the accounting industry—making it a top resource for both corporate and small business accounting professionals. The Adviser also hosts various award-winning events that range from professional development conferences and study tours to industry-leading awards that acknowledge and celebrate the top-performing brokers in each state. Our audience is composed of professionals in the mortgage and finance broking industry, bankers and aggregators who benefit the most from The Adviser’s content. The Adviser keeps its audience updated with the latest news, innovation, intelligence and insights that impact the mortgage industry. Increase the exposure of your business through any of our platforms. To discuss advertising or sponsorship opportunities in further detail, please do not hesitate to contact Jordan Coleman.